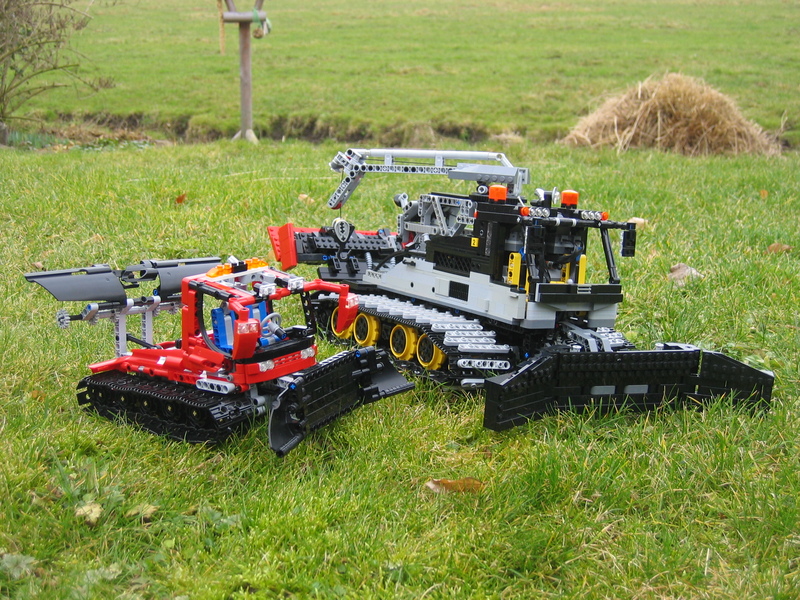 Like some AFOLs did in the 1st half, months ago for the new Mini-Dozer (8259), it seems now the time to reverse engineer the new Snow Groomer (8263), has come. It is a larger model, more complex and it also includes some new parts, so don't expect an exact replica! However Han did a nice work, seeking for the 8263 secrets and functions. All this, looking into the video and photos from the last Toy Fair in New York. According to Han, it is just a guess work to have an idea how the model might be working. He also expects the original model from TLG, to use a different solution to lift the front tiller, which he wasn't able to figure out. Here the challenge seems to be the limited space under the chairs, to implement both movements mechanism (left/right and up/down). You may find more photos from Han's "replica", at his BS folder. Lets wait and see if it was good guess. 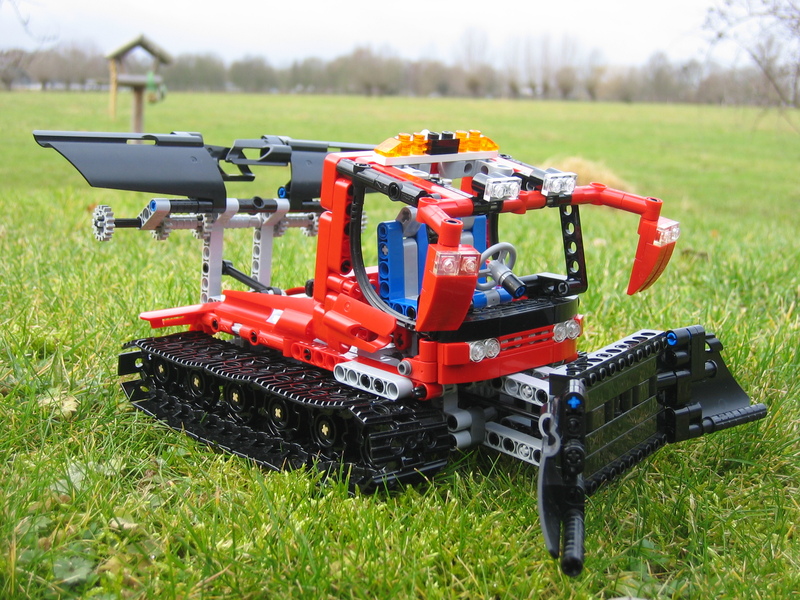 Just in case you don't remember, Han is the builder who did another high detailed Snow Groomer some months ago, and whose MLCAD model also won the MOTM contest from LDraw.org in August 2008. Seeing both side-by-side, definitely this guy has some interest to this type of machinery.